So, I like having good music. It's great to help pass the time. But sometimes you want a little bit of music. Where the phone's speaker isn't enough, but any speaker you go and get is too big. What's your option? Get a big speaker and keep it turned down low? 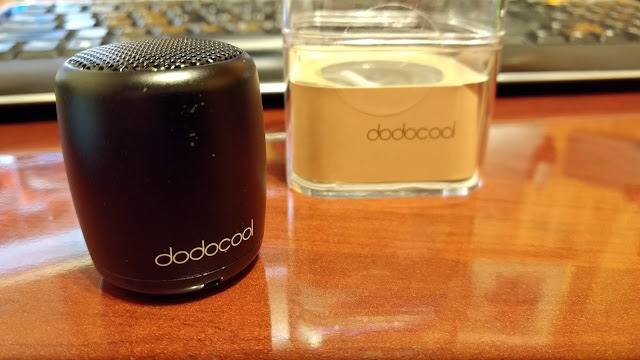 Why not check out the $22 speaker from dodocool, the DA84. It's a tiny little pill speaker and it's quite surprising quality for it's size and price. 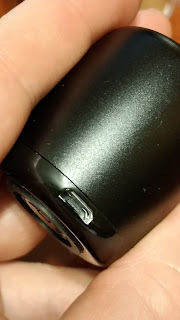 So, it has a teeny tiny shape, and with it comes a teeny battery. The box says it should last you 2-3 hours, but their website says 4. I haven't gone through that much life on my devices as of yet. And it uses microUSB to charge, so I'm never too far from a charger/cable to give it more juice should it need it. It's only got the single power button. Long press it to turn it on. 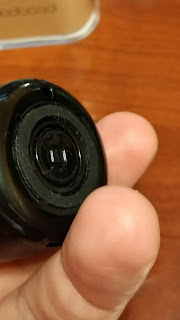 Now when it's paired up, it'll also act like an input device (because you can use the button as a camera trigger for selfies). It's a bit of a pain because if you try to listen to music and type in something, it'll think there's a physical keyboard so it won't show the virtual. You'll have to click the button to show it as well. Okay, but back to the sound. It's hard to tell from the video probably, but the sound is quite good, distinctive, especially given its size. When I had some heavy bass and cranked it up (via the phone, there's no volume control on the speaker) there was some buzz. But otherwise, it would be perfect for a small office (keep in mind the light battery) or at the picnic table while camping. Enough to listen and not annoy the folks around you.